An exceptionally fine Chinese reverse painting on glass after the original drawing by Giovanni Baptista Cipriani, RA; 'The Power of Love'. Published as a print in February of 1783 by W. Palmer and dedicated to The Countess of Harrington; the engraving by Francesco Bartolozzi (Florence 1727 – Lisbon 1815). 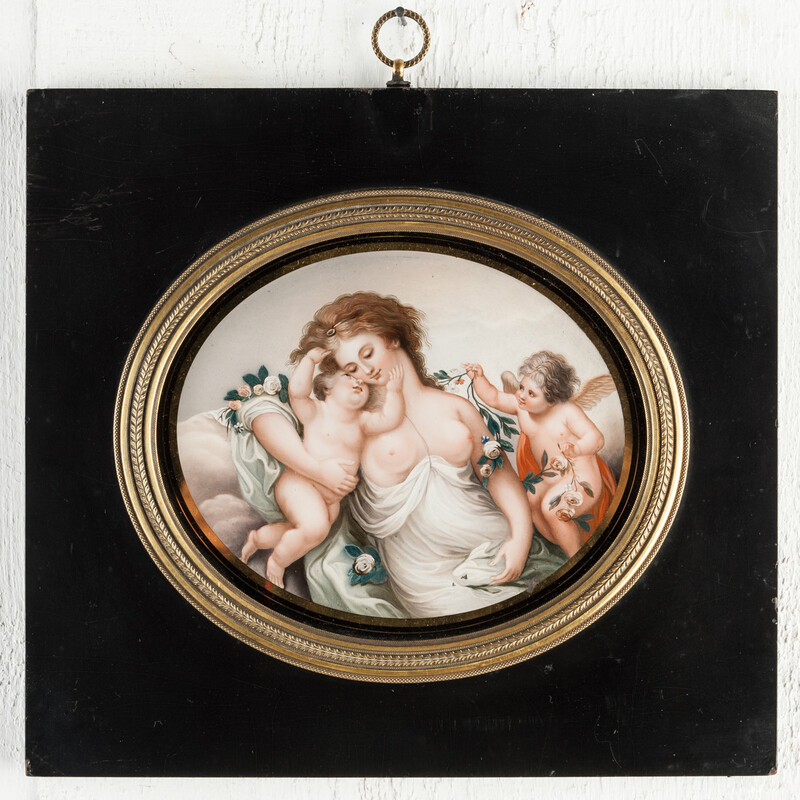 Now within an English papier maché frame with an ormolu bezel. The painting Chinese, Qianlong period, circa 1790.